Huge fuel range to fish the canyons or cruise the coast. 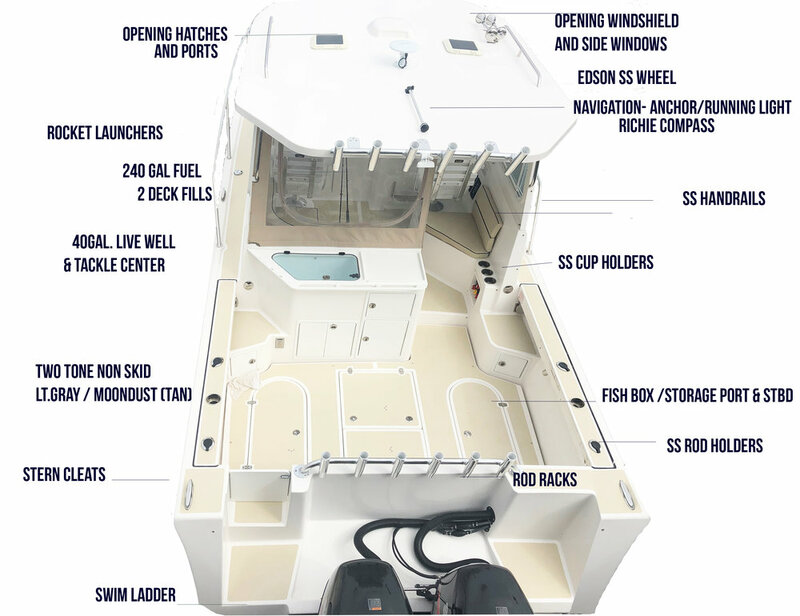 240gal fuel, 48 gal illuminated live well, tackle drawers and rigging station- all standard. 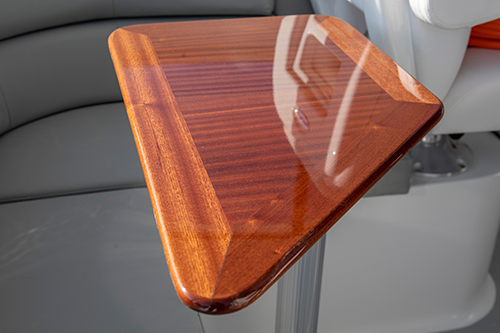 NorthCoast Boats flagship vessel sports amazing performance. Sleeps four with two in the vberth and two in the aft sleeping area. 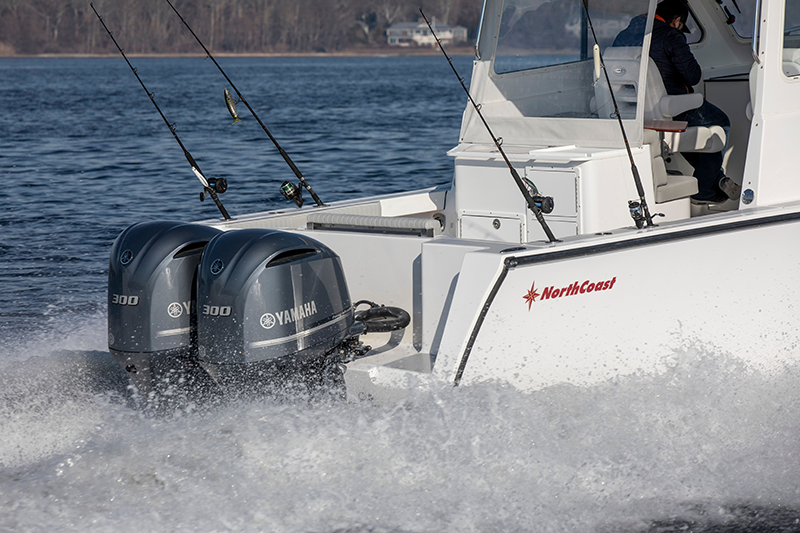 The NorthCoast 285HT has a fishing heritage your crew will appreciate each time you head out to sea and back. 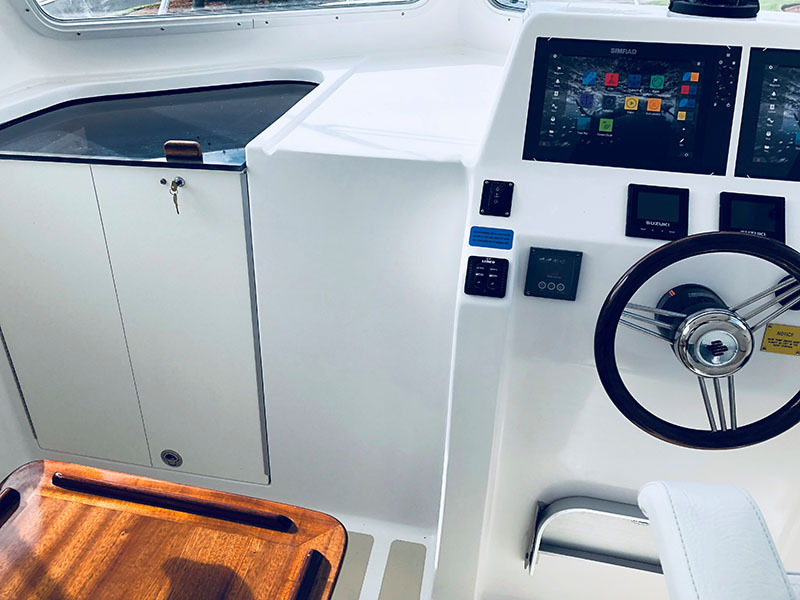 Excellent 360 degree visibility with 6'2" headroom , and L shaped seating, a helm area and dash with enough real estate for all of your favorite electronics. 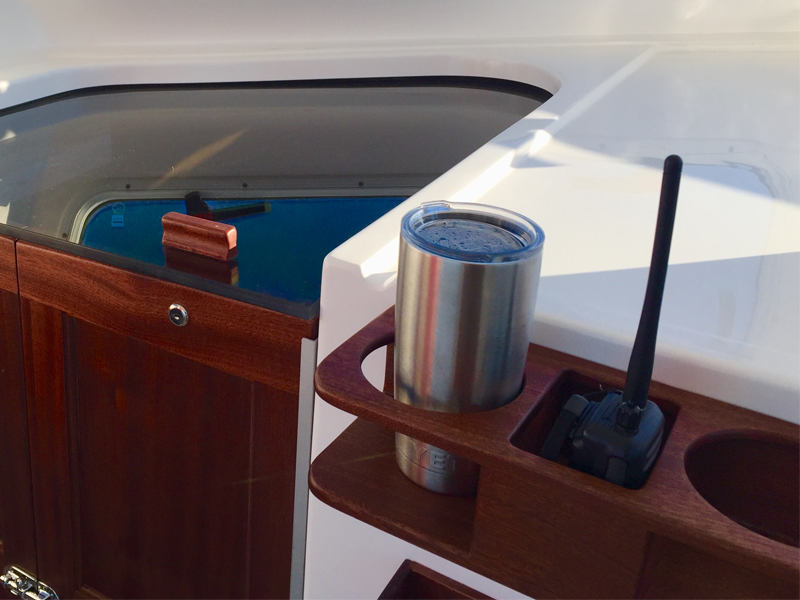 Highly functional for fishing and versatile comfort when cruising. Options, freight & taxes extra. Prices, specifications,equipment and options may change without notice. 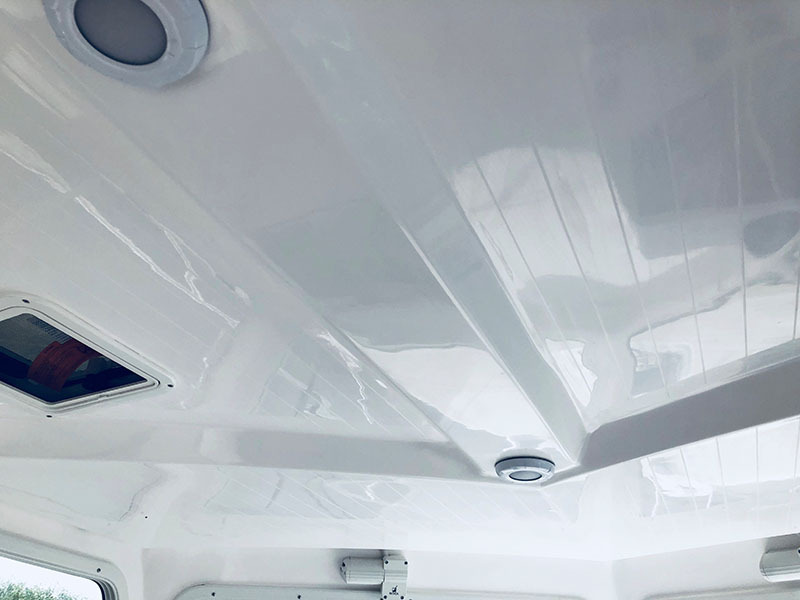 This new 285 is all about being rugged, versatile, and performing beyond expectation and can be equipped with all the important features required by inshore or offshore fishermen. We provide enormous amounts of storage below. 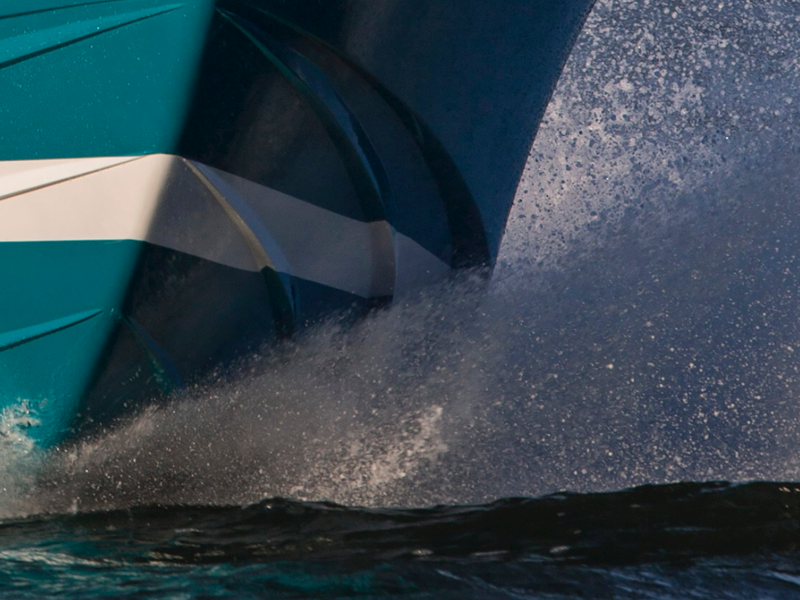 The 285 is built like a tank to handle the toughest testing grounds of the Atlantic- like Stellwagen Banks in New England (kind of like Wicked Tuna without the cameras and script.) 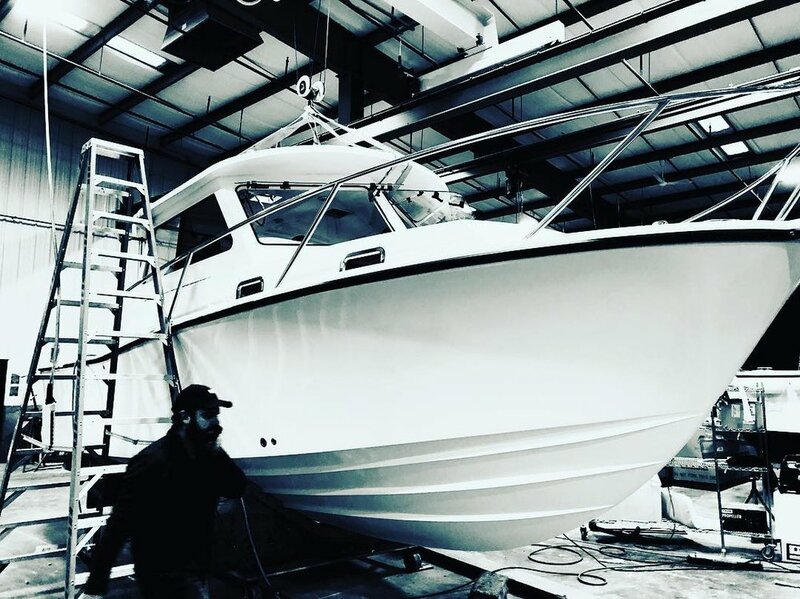 Although her quality is seen, and felt, her real value is best experienced while others are scrambling back from the fishing grounds, as weather conditions can sometimes deteriorate, your confidence to keep fishing is founded in NorthCoast Boats solid reputation.